“Were you born funny, or is it something you’ve had to work at?” That’s one of the questions I asked the new clown act at “La Nouba” by Cirque du Soleil. Both named Pablo, the duo didn’t hesitate. “Orange Pablo” shared, “Everybody’s born funny. But if you want to be funny onstage, you have to work. You have to work on the timing of jokes and get a feel for what the audience needs.” “Purple Pablo” chimed in, “It’s genetics, your soul and hard work.” I had the chance to see their performance over the weekend and I’ll tell you this … it didn’t look like they were working at all. They were having far too much fun, and so was the audience. One of my favorite sounds at Cirque is the pure, unfiltered laughter that comes from the younger kids in the crowd. I heard plenty of that at the show. And already, Pablo and Pablo have gotten fan mail from a dad sharing that he’d never heard his son laugh so much. I think we can all agree that we’ve got a hit on our hands! 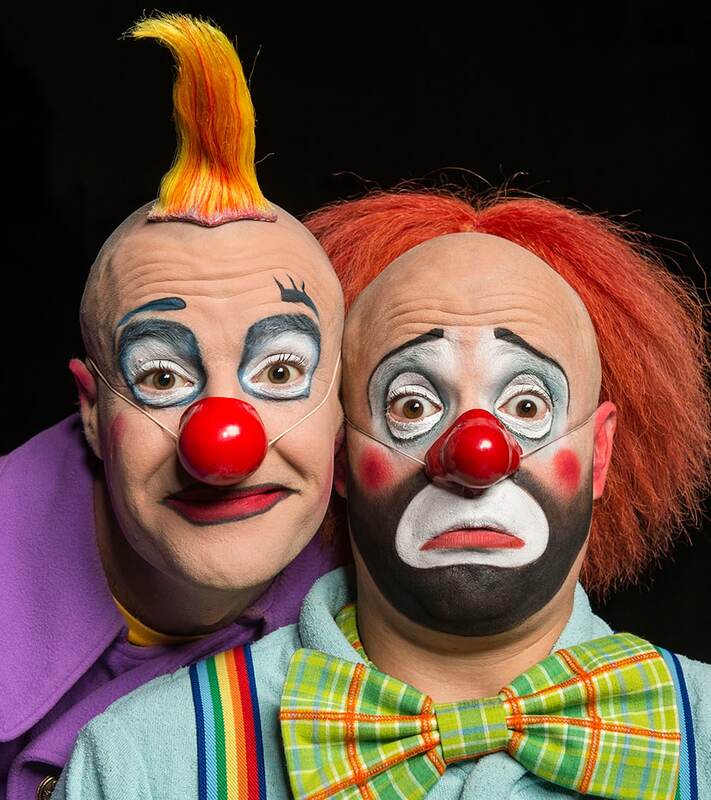 The new clowns bring a fresh energy to the show, so even if you’ve seen “La Nouba” in the past, well, you haven’t seen it quite like this! 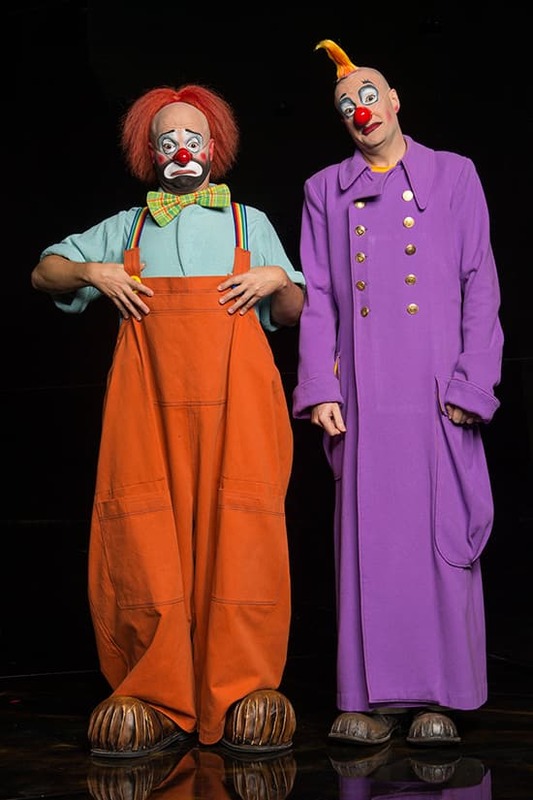 When I asked the Pablos how their performance differs from other clown acts, they didn’t hesitate. They talked about their great respect for Balto and Sergey, their “La Nouba” predecessors, and they also acknowledged their take was much different. “They were like jazz. We’re more ‘rock ‘n’ roll’ with a very fast rhythm. We’re like two kids mocking each other.” Having seen both versions of the show, I think it’s a great analogy. And while I don’t want to give too much away, I’ll share this tidbit: I’ve never seen anyone make piñatas and paper airplanes so entertaining. Want to experience “La Nouba” for yourself? 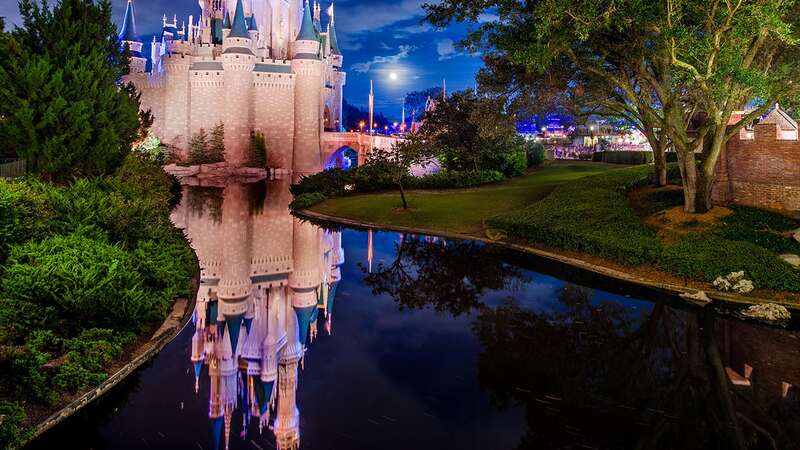 Next week a special offer hits the market, but Disney Parks Blog readers can book early here. So … have you seen “La Nouba” by Cirque du Soleil? If so, let me know what you love most about the show in the comments below. Stay tuned, Susan. We should have more to share in July! I am very excited about the new offering from Cirque du Soleil this summer – I know you can’t say “what”, but can you say “when” ? We are visiting the first 2 weeks of August, and would be very interested in anything ‘behind-the-scenes’! Thank you ! Stay tuned, Susan — I hope to have more to share in July! Pamela, like you, I am a HUGE fan of Balto and Sergey — there are Cirque legends! Before you get too upset, give Pablo and Pablo a chance … I think you’ll really enjoy them, too!